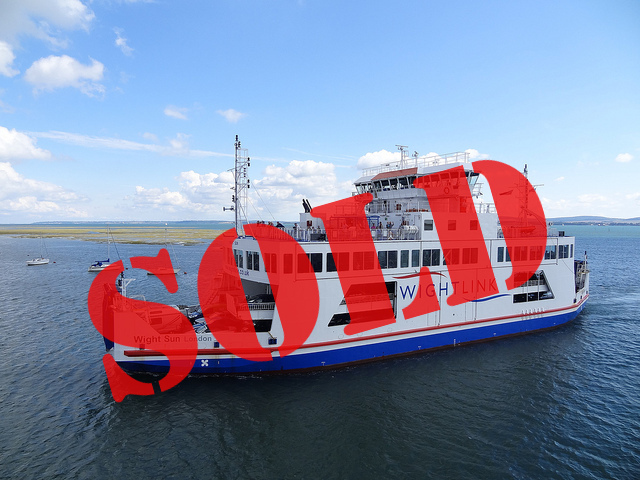 Wightlink, the Isle of Wight ferry company, has just been sold. It has been announced this morning that Isle of Wight ferry company, Wightlink, has been sold. Is the sale of Wightlink a good thing? The previous owner, Australian investment bank, Macquarie, has sold Wightlink to Balfour Beatty Infrastructure Partners LLP (BBIP) (read more about BBIP here). The company was purchased for an undisclosed sum. Macquarie European Infrastructure Fund bought Wightlink from its previous owner in June 2005 for just over £230m. At the time of the sale, it was reported that the previous owners of Wightlink has £133m of secured loan notes, plus £25m in mezzanine finance. 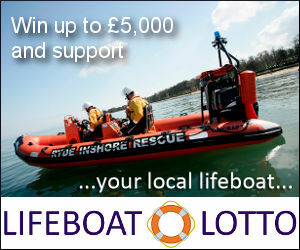 This is a major news story for the Isle of Wight, so anything that we find related to the story will be added here. Keep this page open and the update stream will automatically refresh. 48 Comments on "Wightlink sells to Balfour Beatty Infrastructure Partners LLP – Live coverage"
Note the bit about 70% PPP and 30% Non-PPP…. PPP = something very similar to PFI – I worked on one of their PPP’s till it ran out of money and we all got made redundant. I guess we wait and see how this plays out. So do we have yet another company that will dump huge debts onto Wightlink (as others have done) and increase prices because they are losing money???.. Keeping the rotten infrastructure, the unreliable service and its other issues will ensure we will see no benefits so business as usual for we Islanders. Is not BBIP (LLP) yet another investment bank operating from an offshore tax haven battening onto the Island? Hyenas usually operate in packs. Great coverage On The Wight! … and so the debt is sold on! Time for a fixed link. …. a state-funded fixed link maybe otherwise plus ça change! Sold to another big Monopoly … along with its wage slaves. Broken down and unreliable ferries, particularly on YL route, infrequent nighttime sailings and all that aside from the expense. I’d rather hope that they would dramatically improve on what they have to offer to the island’s community. THe same Balfour Beatty as known for the Illusu Dam fiasco, various PFI scams and numerous ‘salt & purges’ of the already dodgy ECGD? Forgive me if I’m not filled with hope…. What! Wait and see what Simon and Sally unearth in order to make an informed judgement? No let’s go off half-cocked and give negative ratings to any comments that say different. Oil prices dropping! Where have you been Mat? Obviously not noticed they are on the rise again! I would be a whole lot more hopeful if the entire management team at Wightlink went as well. They. after all, are the ones responsible for the day to day operations of this awful company. At the moment we have same broom, different handle. Interesting news! The Island’s MP wanted the ownership of Wightlink to change, so he must be pleased. Or is Nick Finney now his official spokesman, through the doomed Better Ferry Campaign? Anyhow let’s give these new owners a chance. They now have the chance to prove themselves and build a reputation. I hope they give Red Funnel a good run for their money…..
BUSINESS AS USUAL! Lets hope not!!!!! Yes! What other travel company would get away with taking a large wad of your money for a season ticket up front, then telling you that you couldn’t travel when you want to? Will they be doing toast again? The board of Macquarie are toasting each other as I write this! Retired Hack makes an interesting point. He considers the current situation will not change without effective competition or statutory regulation. If Turner is so concerned, why will he not back a regulated market i.e. like the train companies etc, where the operators have formal public service obligations in exchange for public investment? That’s a matter of semantics, Cicero. BB Plc is a highly compartmentalized business for historical reasons. But its core business remains the same, even if some of its subordinate companies exist primarily to provide non-core services to other branches of the company. Pacific & Orient is the ferry company for you Cicero. Andrew Turner has got it right for once in his life ” they know nothing about ferries”. That why soon we will see them apply for planning permission for a tunnel. Then they can write off the lose of buying it against tax. Note that VINCI also appears on that list- I wonder if any IR ex-employees who questioned IR Health & Safety also appeared on the blacklists. Not to mention BB’s failure to maintain the track that led to the Hatfield rail crash. Let’s hope they’ve upped their game since then! For Islander’s, the nightmare continues. Or, it just got a lot worse. Sciolist – an interesting opinion. But one based on absolutely no fact whatsoever. Do keep these pearls of wisdom coming, won’t you? Will this speed up a fixed link… They know nothing about running ferries and have hopefully bought Wightlink & land either side, to then build a tunnel,because I think they were behind the hind head and channel tunnel. Ah well same old same old. I guess we can all thank ourselves lucky it wasn’t the VBG CIC that took over Wightlink, they would have reduced it to one ferry a fortnight, 2 members of staff, 1 dictator and ticket prices similar to a Rolling Stones concert. ……..or the Hambrough Group – as there would be no ferries for over two years whilst they worked out how to run them! NEW FERRIES ON THE WAY! So screams today’s County Press. Their website now says oops! Er, It’s not true. How embarassing. Print media eh, no wonder it’s dying. Funny, but we all make mistakes. The story doesn’t have a reporter’s name, nor does the apology. You have to ask, does the editor always spare peoples blushes? Sounds like a pretty easy mistake to make. 1. Wightlink say they’ll be making big investment in the company. 2. Then tell reporter that three ships are old and need replacing. 3. Reporter concludes new ships will be bought.